Uyentran Jun 20 2016 9:14 pm I've watched OSHIN film for 20 year ago . I watch the film many times , again and again ... from now .... In my opinion , you're the best actress . You'll always be my favorite actress . Wishing you the best of health and happiness . Loving you . Thana Feb 12 2015 9:03 am I love the drama Oshin I hve watch so many times still I to watch Again n again !! 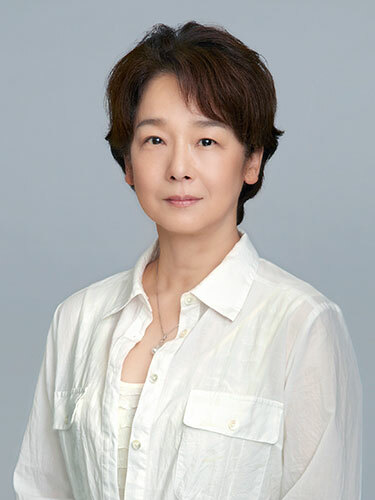 !yuko u will be 60 this year!!! I m also born the same Year as u!!! Surprising mine in Jan yours in April!!! Wish u all the good health n Wealth!! !for your coming Bday !!! Keep acting!!! Nalaka Mar 22 2014 3:51 am you are brilliant actress . I never forget oshine in my life. I very much like the way u act and deliver your message to world. good luck and good health. Aeore Sep 07 2013 11:17 pm Beautiful Yuko, you will always live in my heart with your remarkable character Oshin. You'll always be my favorite!! Love from Costa Rica, Central America. mani Jun 29 2013 12:32 pm you are the best actress that i ever seen. Madhu Oct 22 2012 6:43 am you are the best actress in the world I have ever seen. if y can reply it is a great pleasure to me. martin fennell Oct 14 2012 8:14 am Why do some people leave comments as if the person, they are talking about are actually going to read the comments. Well anyway, This lady gave an excellent performance in Mother. Rangna Waduge Aug 13 2012 4:15 am Hey Mrs yuko ! WE like you ! & we love you ! you Are the one Of MOST TALENTED Actress in the word ! savithri Aug 13 2012 1:51 am hi ms.Yuko ,Im watching Oshin these days,Im a great fan of you and I love you sooooooo much.i like to meet you because your the most talented Actress I ever seen,Wish you a healthy life and god bless you.im savithri from SriLanka. jayantha Aug 10 2012 11:34 am mother, you are a great mother in the world." theruvan saranai"
Rochana wijerathna Jun 23 2012 1:33 am hello yuko iam a great fan of your. i love your acting in oshin. i hope one day i can meet you! senarth Jun 17 2012 9:58 am I like you very much. you acting very nice.osine fist time see when i 10 years old. good luck. mehdi May 08 2012 4:56 pm hi , we watched oshin 23 years ago , the people remember very good now . that was a effective series on our people and on our country ( iran ) . i hope health and success for dear yuko . labibah Jan 03 2010 1:31 am i was watched your film . oshin.. i like you very much.. i want to mett you.. you is the best actres from me.. how do you do now?? ?